Global restaurateur HMSHost and the Shula Family celebrate the grand opening of the new Shula’s Bar&Grill at Jacksonville International Airport. The opening marks the fourth airport location for Shula’s after successful launches at Miami International Airport, Tampa International Airport, and Southwest Florida International Airport. The new location is a joint venture between HMSHost and Lee Wesley Group. Shula’s Bar&Grill is located post-security on Concourse A. Named in honor of legendary NFL Hall of Fame Coach Don Shula, Shula’s Bar&Grill combines delicious food and drinks to create an energetic, yet comfortable environment. 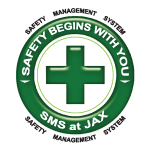 The concept was created specifically for airport locations and has been a huge hit in airports all over Florida. Travelers at Jacksonville International Airport can enjoy a full menu of lunch and dinner options that include mouth-watering hamburgers, signature appetizers, and a wide selection of signature cocktails and wines at Shula’s Bar&Grill. Some of the menu highlights include Sweet Chili Chicken Bites, Seared Ahi Tuna, and a variety of premium burgers such as the Shula Burger, Chorizo Burger, and The House of Blue, as well as a grilled Veggie Burger. "Lee Wesley Group is very excited to operate the Shula's Bar&Grill in a joint venture partnership with HMSHost,” says Camille Lee-Johnson, executive vice president, Lee Wesley Group. 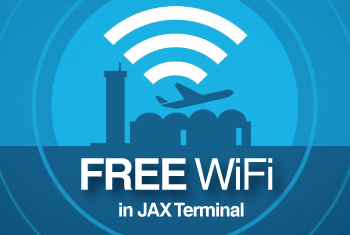 “We are happy to provide travelers with a premium, upscale, modern bar and grill experience at the Jacksonville International Airport."